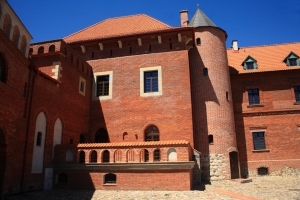 A castle in Tykocin was reconstructed on the foundations of the 16th century royal castle of the King of Poland and Grand Duke of Lithuania Sigismund Augustus. Reconstruction of form was carried out on the basis of archaeological data and historical sources. The area of the castle was also thoroughly examined with regard to archaeology. 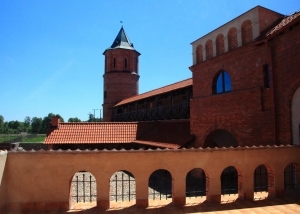 Currently the functioning part of the castle includes – southern wing with the Turma and Rogowa towers and the part of north-west wing. Biała tower and part of the northern wing are under reconstruction. 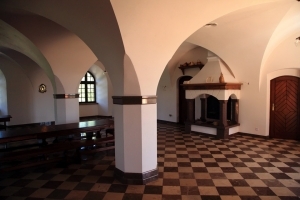 In the castle, there are Museum, Restaurant and Guest Rooms. History of the place, we would like to invite you to, begins more than a half thousand years ago. During those five hundred years, a lot have happened here. 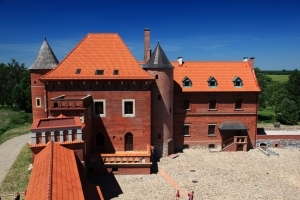 The castle was visited by kings and guests from distant countries, witnessed many wars as well – those big and civil ones. It witnessed disputes between rich families and great betrayal. Has twice been destroyed and each time arose from ruins. It has its moments in the spotlight in the history of Republic of Poland. But let’s start from the beginning. 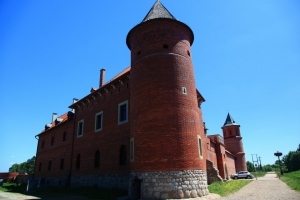 We invite you to visit the Castle in Tykocin. The castle provides everyone, even the smallest group and individual tourists, with the qualified guide services. Revealing the extraordinary history of this place and its secrets, they will guide you through the castle’s vaults, halls and cloisters, along which the kings have strolled. 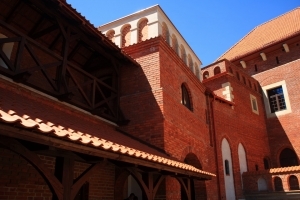 The tour lasts about 30 minutes and includes: Castle’s vaults with museum display showing the history of Tykocin Castle on the background of Republic of Poland’s history and the collection of ancient weapons. 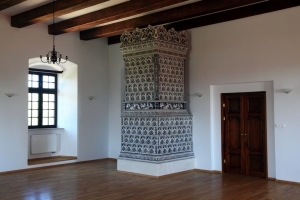 Glass Hall with the biggest tiled stove of the pre-partition Republic of Poland reconstructed. 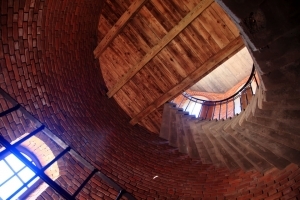 Prison tower - the highest observation deck in the area that allows you to watch the life of crow’s nest life from the shortest distance as well. The castle has six new, double Guest Rooms situated on an attic. Each room guarantees a high standard and unique atmosphere. Breakfast in the castle restaurant is included in the room price.